Have you ever noticed how different everyone is…? Hello!!! It’s a Saturday evening and I am at home. I am supposedly packing for my road trip which begins on Monday…but, shhhhh, I am clearly not doing that. I was doing that, but now I am happily not. I’m a much better packer under pressure anyhow! Today I taught a fabulous extra long Q and A class at the wonderful BYSaanich. It was a quickie throw together class…we decided about a week and a half ago that we would do the class. We took into consideration that it is summer and it was short notice and it ended up being a fab perfect class. 25 yogis hung out with me for 3 hours in the yoga room…and I have to say we all had a bunch of breakthroughs! (FYI, as I note, it wasn’t ME that made the class fabulous-I was referring to the ensemble…). So…the real reason for this post is this: Have you ever noticed how there are not two people alike? Now, I don’t want you getting all identical twins on me, that’s not what I’m talking about. Do you ever compare yourself to someone, anyone else? Do you ever look at someone and then wish you looked like her/him and think you aren’t as good/fit/thin/funny/cute/fun/awesome in whatever way as this other person who you have decided is better in some way than you are? What IS “better”?? Seriously, think about it for a moment. There is so much pressure from society (but is there?) to look/be/act a certain way, so it directs us to think we need to all look the same…can you believe it? I have something to tell you…. WE ARE ALL SO TOTALLY DIFFERENT THAT IT IS SO TOTALLY RIDICULOUS TO COMPARE YOURSELF TO ANYONE ELSE THAT IT MAKES ME ALMOST FALL OFF MY CHAIR! L.McB and I always think maybe we will compare ourselves to other people and think maybe we aren’t good enough in some way…and then after about 20 minutes we get bored because, seriously, what IS better? I mean, how can something be better than something else when there is nothing that is right? Seriously, seems a bit silly, doesn’t it? Ah, yes, that is right. I almost forgot…we’re already perfect in this moment already…so there. Hi hi hi!! Gosh, have I been slacking or what…? Nope, just busy, here and there, in the yoga room, out of the yoga room, in the sun, out of the sun…you get the drift. This morning I was driving down to Cook St village to meet a friend for a walk along Dallas Rd (which, as an aside, is streaming with people walking their dogs…so, if anyone needs a dog walked, I noticed there are many handsome men along this route, I would be willing to take your dog for a walk…I think you are again getting my drift 😉 ) and have a tea before I had to head to to the yoga studio for advanced class. So, on my drive down, I noticed a woman walking down the street…well, she wasn’t walking, she was kind of waving her arms and doing what I deemed to be dancing. My first initial thought was “huh, inappropriate?”…and then I very quickly caught myself and thought “self expression”…which then got me to thinking…what is self expression and is revered for being care free and self expressed no matter where we are, and what is deemed inappropriate in the eyes of society? Where is the line drawn? 1) Do no harm. Meaning, if someone wants to wear very short shorts which may or may not be flattering on me and perhaps they show off a little cellulite or something then really what’s the harm? It’s not affecting anyone negatively. If she was to wear something which was clearly showing her “private parts” as in something very see through or low/high cut, then by the confines of the society we live in, this is inappropriate because this could cause “harm” to the people around (some people may be “wounded” not just offended by this…traumatized even?). If someone is yelling profanity, this can be harming to the people around, perhaps children in ear shot…perhaps it’s not physically damaging, but certainly can be emotionally damaging to some people. So…what’s the point…? Not sure…just that I value people and their individuality, and while not wanting to squash anyone’s self expression, I also have been raised in a society where we have made up all sorts of rules of being based on what we can handle and what we think is a societal right or wrong. I, for one, encourage everyone to dance a little in the streets, laugh out-loud in the movies and sing to the musak we hear at the elevator…why not? If for nothing else, it will keep you, and the people who stare at you on the street, entertained! OK, my loves, time to get out into the sunshine and soak up my vitamin D for the day. Toss it all up, top with a little avocado and that’s it! was super yummy…I think it needed a little lemon juice though, for the acid factor. 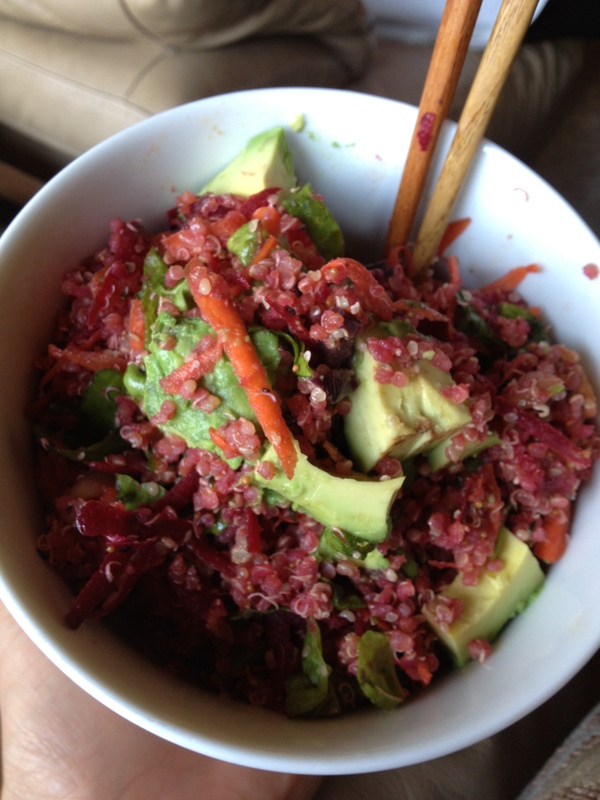 my version of a moroccan quinoa salad! Forgot to mention the OTHER freebie this weekend! Good morning everyone!! 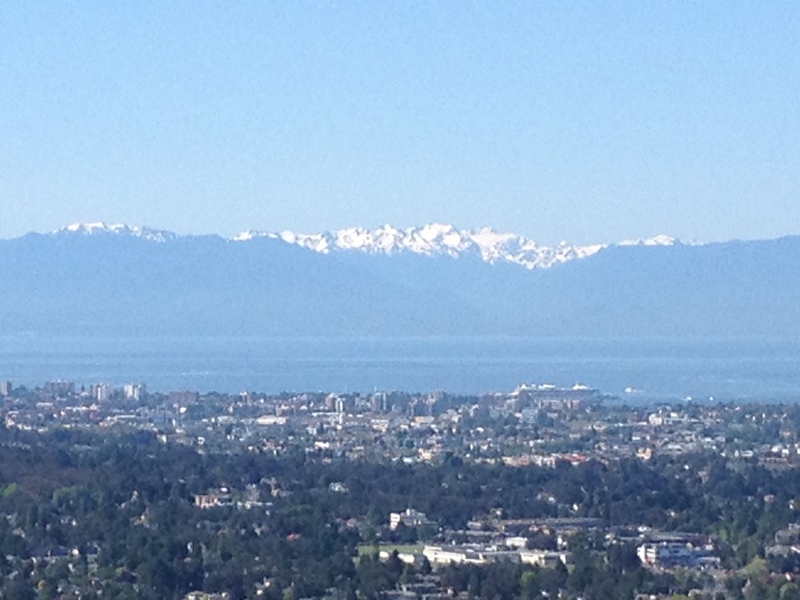 What a beautiful morning…I was just checking the weather and we are expecting highs to TWENTY FIVE today!!! OMG THANK GOODNESS SUMMER HAS ARRIVED! I cannot say it often enough 😉 I am going to do my yoga this morning, 10am at BYSaanich, so I have the rest of the day to enjoy…actually, I have a few other things I have to do so the whole day won’t be spent lazing around in the sunshine, but I will def have a few hours of it. And…tonight we are heading to the Buchart Gardens for the 2012 fireworks display. Good times good times. OK…this is really why I wanted to write a quickie post this morning though…I forgot to mention in my post from the other day Some FUN FREE YOGA things coming up…. The Hudson Yoga studio has been having free yoga all this week and classes are still free through Sunday. I checked out the new studio this week and am happy to report, I snagged a free parking spot in the parkade (there are about 15 spots in the parkade which are free during the week for 2 hours as well as maybe 6 or 8 spots out front on the street…and then after 5pm and on the weekends, the entire parkade is free!) which was a good omen! Ken made it his goal to ensure the yoga room was finished on time (you know how these things go with building, the completion dates are often pushed back and back…), but the rest of the studio-changerooms, lobby etc, is still under construction. No worries, the showers worked, the toilets flushed, the rest of it isn’t imperative in my opinion. The room is pretty, high ceilings, radiant heat panels, fresh air intake, cork floors. The floors are slippery when wet so watch your step after your practice. On the website the classes are listed as “Hudson 60” and “Hudson 90″…the class I took was a 90 and was exactly the Bikram series. (There was an article in the Times Colonist last weekend in which he said they weren’t doing Bikram Yoga…I guess they just aren’t calling it that but the teachers are teaching the same series). I believe there is also a flow class and a yin class offered but I haven’t looked to closely at the schedule. OK, Lovelies, must run. Have a super awesome day, go play outside! I woke up early this morning because I was having a bad dream. I dreamt that I was a short fat man on a killing spree in a hotel. I had killed a bunch of people and then was in a room with one guy and couldn’t find my gun. I then found it, and shot him several times while he came toward me, in zombie like fashion, seemingly unharmed from the 12 or so bullets I shot at him. I ran out of the room and hid down the hallway behind a door while the zombie walked down the hall…that is when I woke myself up. Weird. So, up I got, made tea and ate some melon. I decided that seeing as I am doing advanced class at 12:30 today I would take some time this morning to be outside…seeing as it is a magnificent day out there! I strapped on my sneaks and headed for Mt. Douglas. I’ve had this painful “hamstring” issue in my left leg for months now. It comes and goes a bit but never goes completely away…some days are more painful than others and walking seems to aggravate it. Well, maybe not aggravate it as it doesn’t get worse, but walking long distances seems to really activate it. However, I’m not going to let it run my life, so up I hiked!! At the top of Mt. Doug this morning! So, I hiked up, sat for a while in the beauty of nature, breathed in the clean air, admired the vast amazement of this life, and then trundled back down the hill. (FYI, if you plan to go to Mt. Doug, I suggest you go early-I got there and parked at 930am ish and when I got back at 10:30am ish the parking was a circus…so, if you are driving, best bet is arrive early or later in the day!). Then I came home and made a chocolate blueberry smoothie for after advanced class. Blend it all up in the vitamix…I also added a handful of icecubes to chill it up a bit. Not super sweet, but delish. You could use a combo of berries for this, but blues are what I had so that’s how it worked out today! 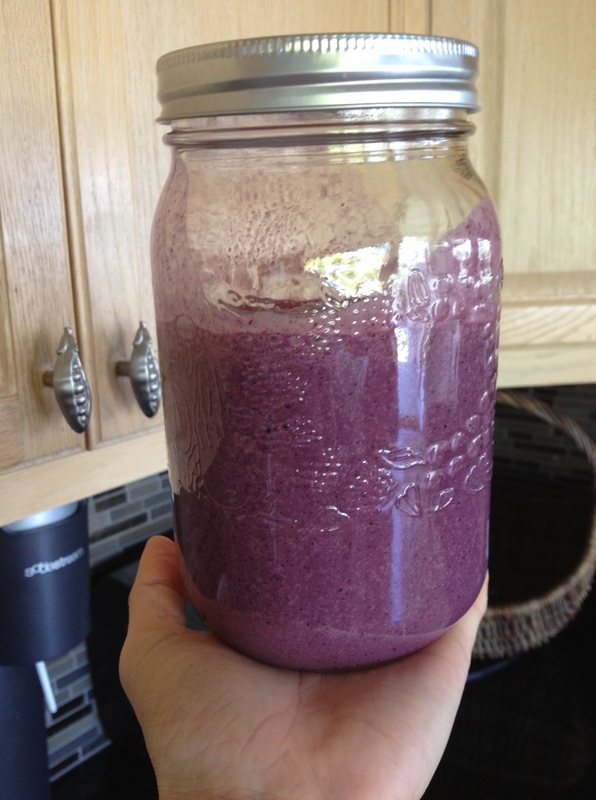 anti-oxident dream chocolate blueberry smoothie! Have a great day, y’all. Hope you get to get in that sunshine!! I just wanted to let you know, puppies, that my new website is published. I have been working on it off and on for a few weeks now and finally got it online. Whew. My old hosting guy was going to be no longer so I had to get my act in gear to get the files changed over and the files transferred and the right dn with the correct ip and the blah blah blah…..seriously. I think I now speak a new language!! I remember when I bought my second car (my first car was gifted to me so I didn’t have to really know anything about buying a car) and I ended up learning so much about cars…more than I ever thought I would know…and I’m so happy for it (seriously!!). So, now it’s the same with websites and hosting and all that jazz. Anyhow, like any other art project, it is not finished, I will continue to make changes and updates. My goal is to eventually move my blog to the site as well…but don’t worry, I’ll let you know when that happens so you can re-direct! Go on over, check it out, let me know what you think!! www.idaripley.com (if you had this bookmarked already, just refresh your browser if you need). Love and sun kissed kisses. Goooood evening!!! Oh my god, isn’t the SUN ah-mazing???!!! IT was like I came out of my shell today with that sunshine!! I truly blossomed. ANd I think we get to look forward to the sun and hotter days to come. Whew. That was a close one!! Are you feeling the full moon?? I was def feeling it lastnight. By the time I got into bed lastnight I was so out of sorts, I had all kinds of aches and pains and I was in a bit of a mood. I think I sucked up all kinds of sensations and feelings from other people yesterday and with the moon being full I think it all got magnified in my body. So…I slept for NINE hours and I woke up feeing a bit better. I was still a bit funny this morning, a bit dizzy and wonky, but I ate, meditated, got some work done, read in the sun and then took a yoga class and taught a yoga class and now I’m right as rain. (oops, maybe that was the wrong thing to say…I’m right at the sun shine in July!). I just downed a MASSIVE kale/red cabbage/carrot salad with hemp and sesame seeds, tossed with flax oil and bragg’s. I didn’t think I was going to eat the whole bowl but apparently I needed some GREENS!! I feel much better now. OK….so, I wanted to let you know about a few fun events coming up over the next few days. 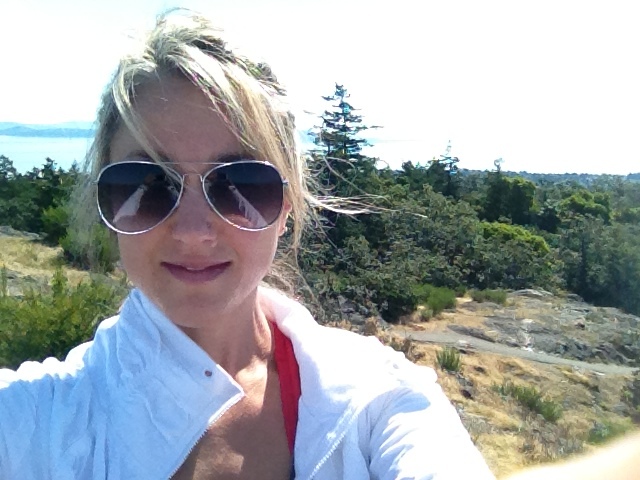 On SUNDAY (8th) there is going to be FREE YOGA IN THE PARK from BYSaanich. I was not around last summer when the outdoor classes happened so I’m looking forward to this year…and the weather is supposed to be FANTASTIC so it’s going to be that much better!! Check out BYSaanich website for more info on that. It’s at 11 am and I think this week it’s Abbey teaching. Don’t forget your sunscreen!! ALSO on SUNDAY and ALSO in the park Niecia is organizing a SYNERGY “class”…frolic?…playtime?…get together??? You get the idea. We had such a fun time a couple weeks ago at the Synergy class at the studio let’s do it again! Bring a partner if you have one or don’t, no worries. I won’t have a partner either, so we can work together! 3pm, across from the petting zoo at Beacon Hill. Here’s the link to the FB page for more info! Synergy is a combination of partner stretching, thai massage and “flying” (stretching eachother in the air on our feet…!!!). You get all the stretching you need without having to do the work for it…sounds good right? ?